Woken Furies by Richard K. Morgan. The Archons of the Stars by Alison Baird. 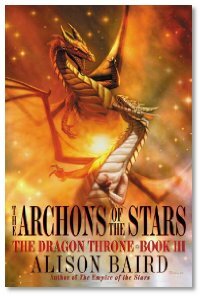 Next, Alison Baird joins us to talk about The Archons of the Stars, part of the Dragon Throne series. Fantasy, dragons, and a good story. What else could you want? 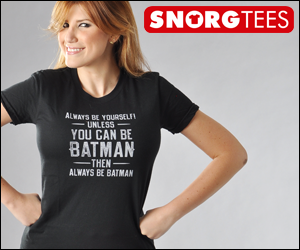 This week's Library Segment also features a freebie giveaway! Tune in and find out what it is. Michael feeds this week. Do you know how much caffeine it takes to kill you? Star Wars. IMHO, definitely not fantasy. 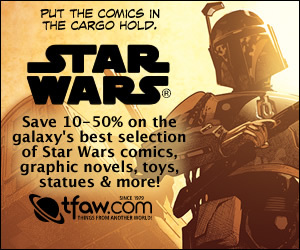 Definitely, Space Opera. Even with Lucas' inclusion of Psi elements into the mix, and the huge amount of technological hand waving, the work is still firmly in the science fiction camp. It certainly isn't hard science fiction, but it is science fiction nontheless.